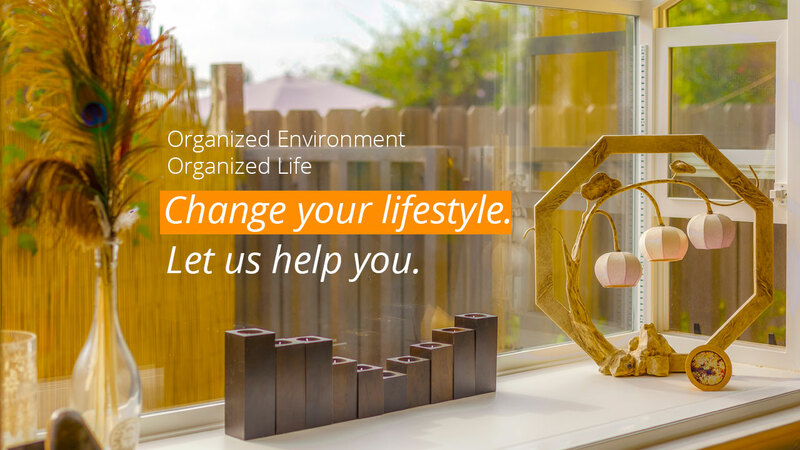 A & B Lifestyles – Change your environment. Change your life. 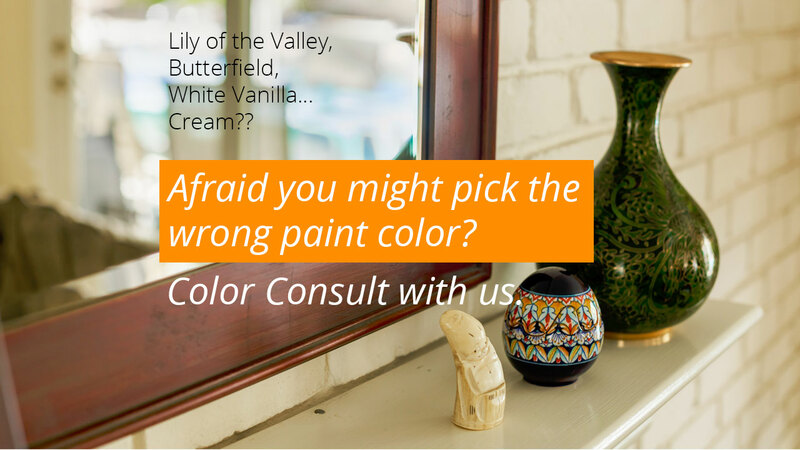 Expert guidance to the colors you are drawn to. I need to keep these kids and their STUFF in their room! 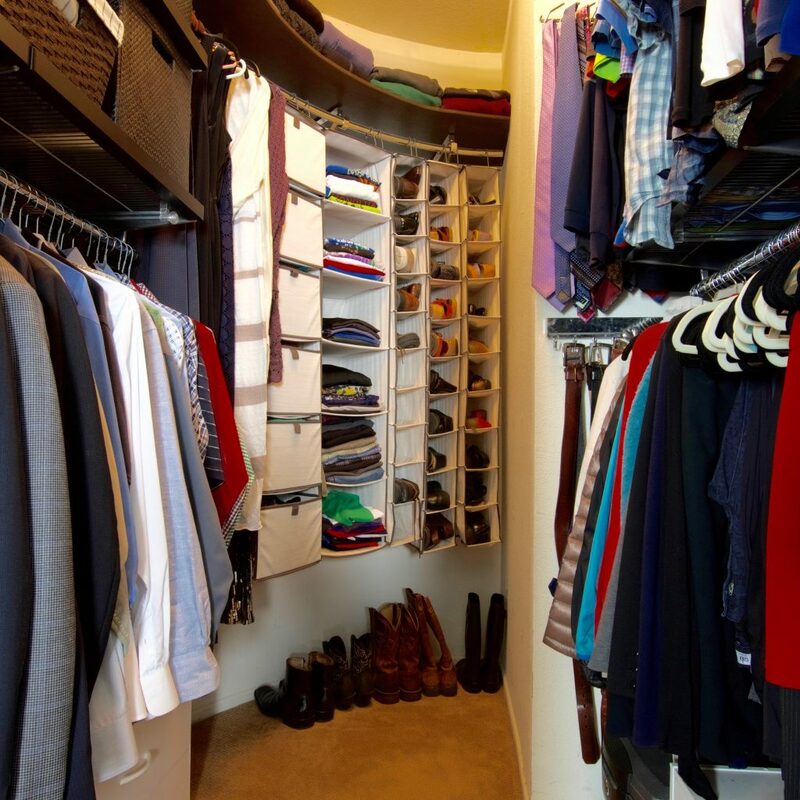 How is their closet not big enough? I know I have it the garage somewhere, but it’s behind the wall of boxes and I can’t get to it. I need to work, but there’s just not enough space for me to get anything done. If you find yourself muttering these words around your home, it’s time to call A & B Lifestyles, we can help. 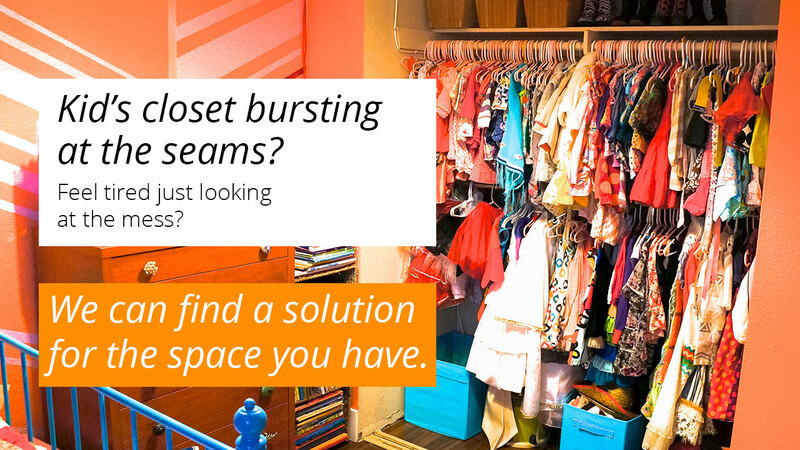 We’re not here to sell you a closet organizing solution or to break your bank with crazy remodeling plans. 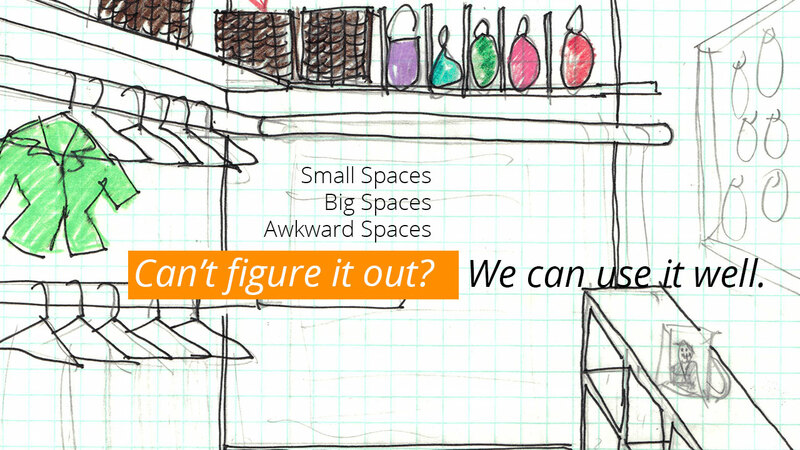 We’re here to help you use the space you have, effectively. We’re here to listen, design, and plan according to your desires, preferences, and design choices; what will make you succeed and maintain your goals. We do not have a one size fits all mentality, each of our clients is unique and has different needs and goals that we cater to. Our mission is to change your lifestyle. 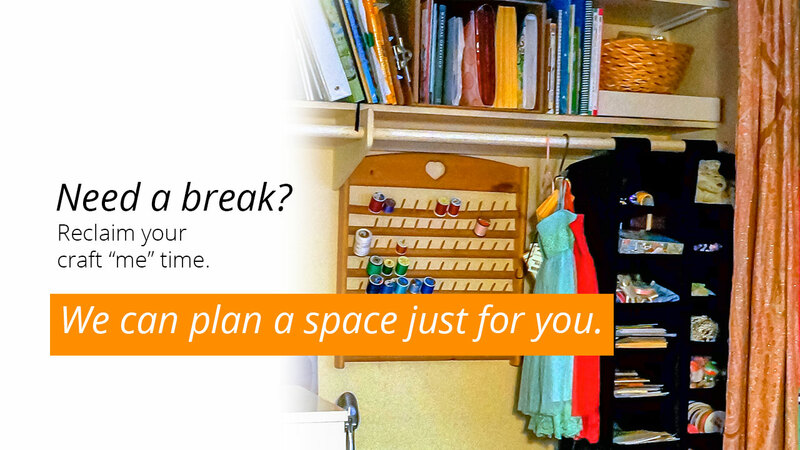 Our space planning will allow you to have more free time to enjoy your family, and hobbies. When you need to find something, it will not be stressful waste of your time, but it will be right where it belongs. 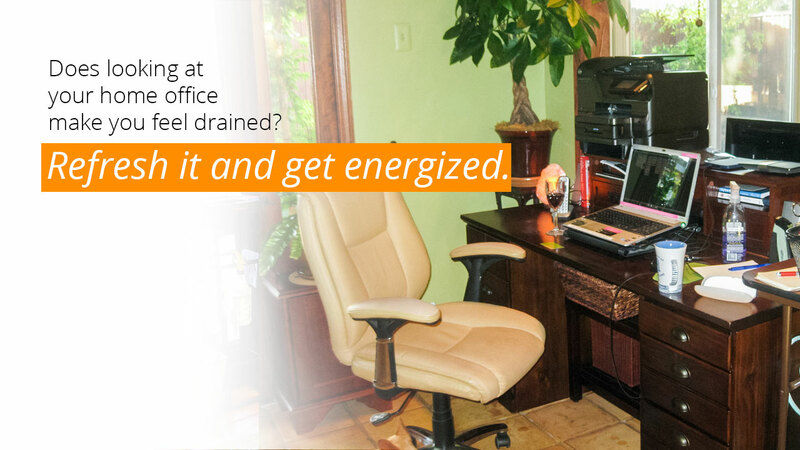 We do more than organize a desk. We set up systems that help prioritize your life. We help you rediscover the life that you envision. Change your environment, change your life. Organization has always been a part of my life. Some of my heritage is German and this part highly influenced how my home functioned as a child. There is a saying in German "Alles in Ordung", which translated means "Everything is in order." 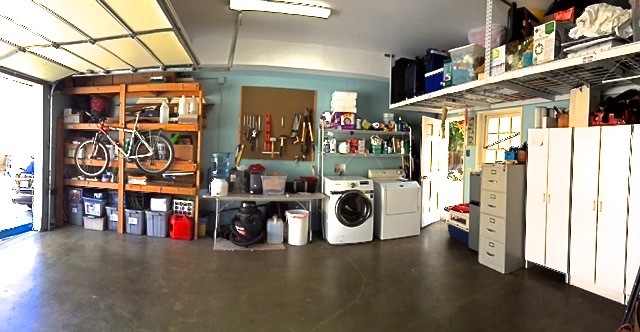 Another phrase I heard quite often growing up was "A place for everything and everything in it's place." This phrase has become a guiding principle in my life. 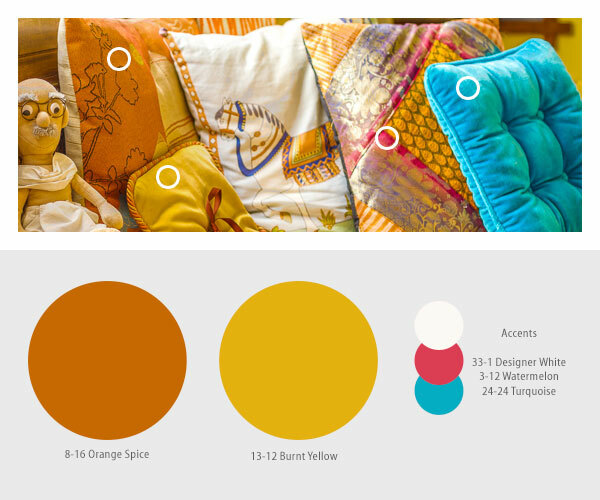 I spent my interior design education focusing on color. I love and adore color! Picasso once said, “color is my day long obsession, joy and torment” and I couldn't have said it better! I love wow moments in a space and the more wow moments the better. I refer to myself as an organized packrat. Sure, I have a lot of stuff and I represent the many that have a lot of stuff and I am here to tell you that it is ok and you too can be organized. 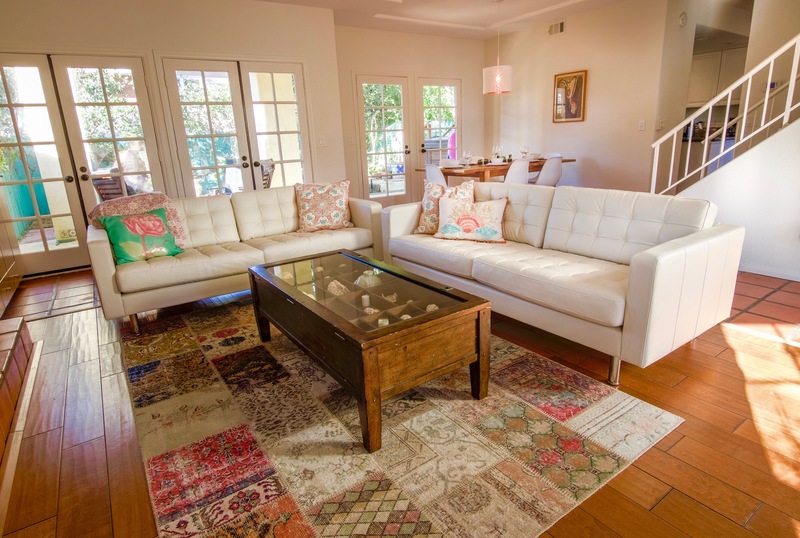 The A&B Lifestyles professionals listened to my needs and quickly came up with not only an efficient design, but a space that matches my personality and how I use the space. 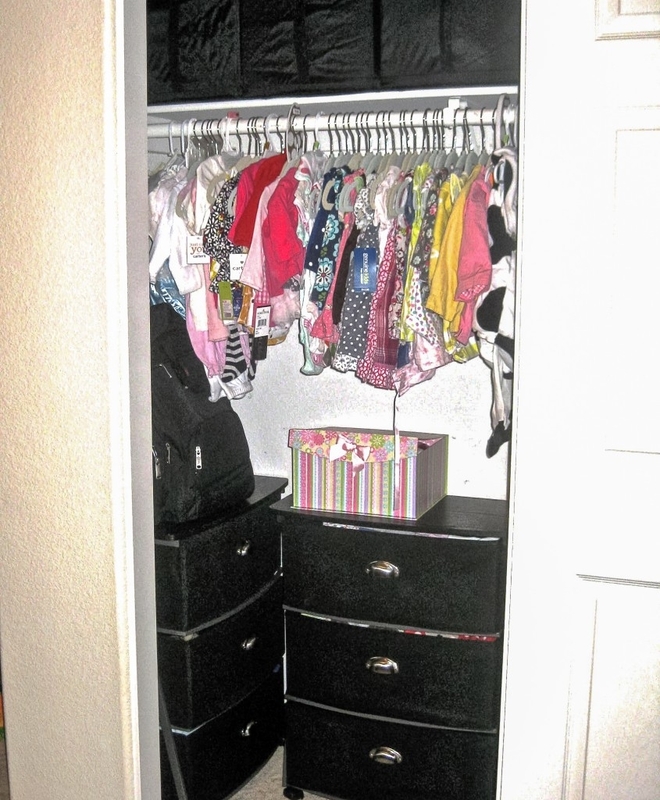 They were very patient and organized during each step of the process – from clearing out old clothes, to installing a custom system to keep everything in its place. I’m so impressed with the work they did. 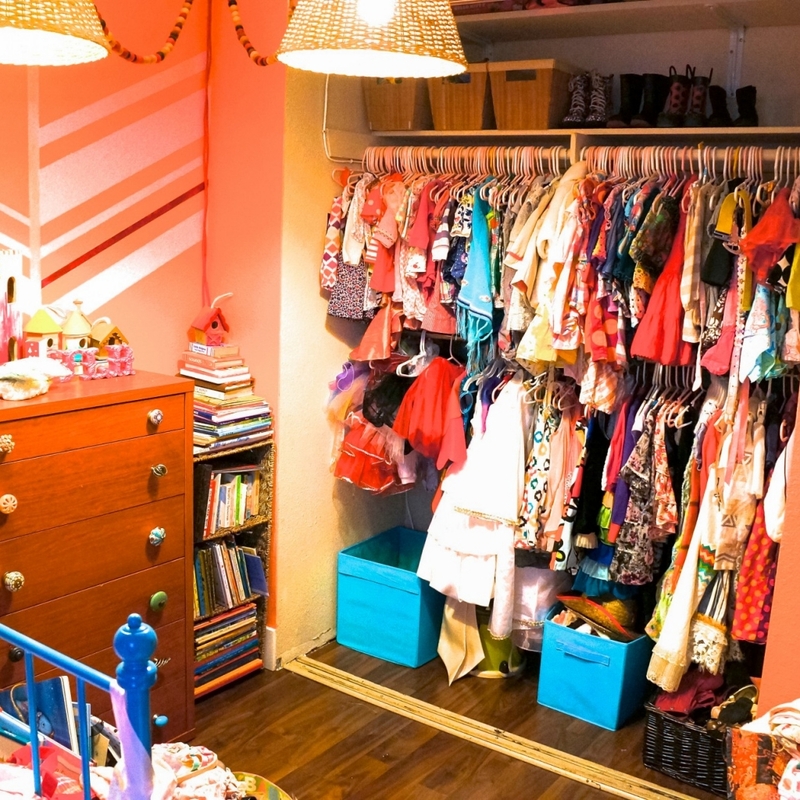 I smile every time I walk into my closet – that says it all! 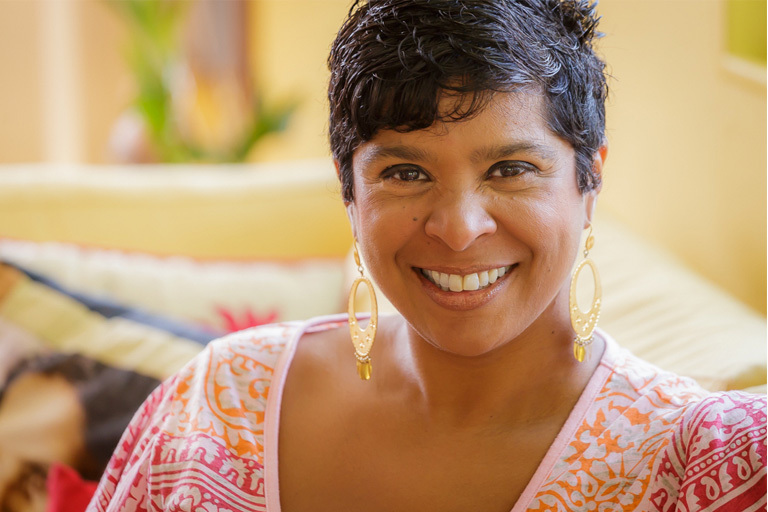 When I heard that Seena was starting a new company for home organization, right away I told her to “sign me up!” I had been plagued by an unorganized desk and home organization system. I had spent time reading books about how to organize your filing system and had tried to go through files myself, but it just wasn’t happening. I had piles everywhere! Papers, magazines,kids school papers, etc., were piled on my desk. I had mail and papers in the kitchen, documents were in file folders that were over 6-7 years old, pictures and letters were scattered. I scheduled a large block of time with Seena and Cyndy to come over and help me “sort through” and “purge” all these papers and organize my life! They helped me to prioritize and learn new ways to “store” important paperwork. I got a fire proof file cabinet for those important documents that I can store elsewhere. 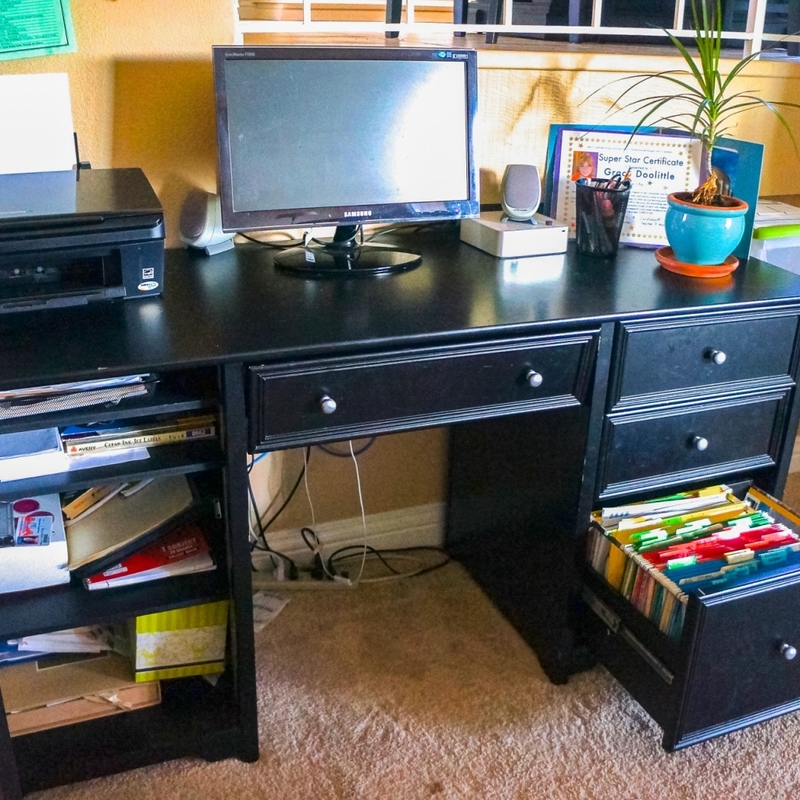 A&B Lifestyles helped to make my desk more “functional” by installing several shelves to house specific items i.e. my “inbox”, computer paper, stationary and envelopes, computer discs, etc. I now feel like I have a PLACE for all the papers….AND I can digitally store documents using my scanner instead of keeping a thousand papers! There is always room to improve, but I am now much more mindful of each piece of paper I come across. I love my new system and the help they gave me to get rid of LOTS of unneeded documents and papers! My desk feels comfortable and organized and ready for visitors, too. Ever feel like you’re drowning? 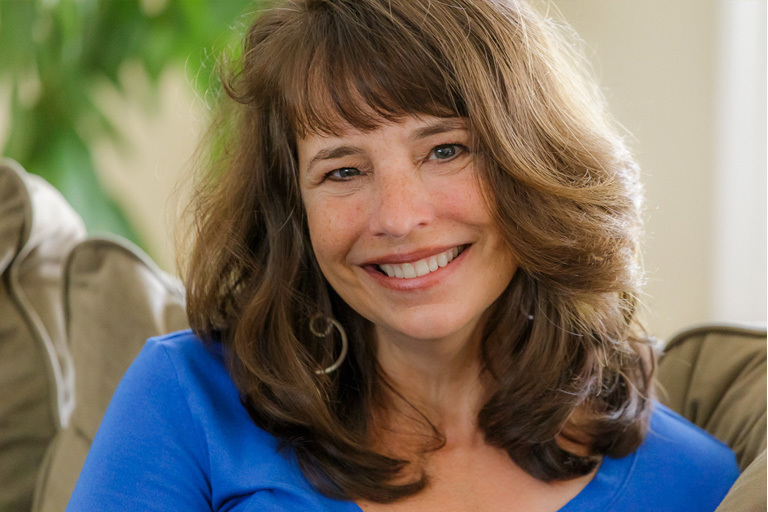 You have so much to do, and your super pregnant and you feel like in order to move forward with joy you need to have all your ducks in a row to get there? But your ducks are scattered through your house and you don’t know where to start?? Seena and Cyndy!!!!!! Praise God for their timing. I so badly wanted to have a good set up for our growing family, and with 2 daughters in one room and adding another daughter to that room I was overwhelmed (not to mention having had some major kankles). They came, saw, conquered. My child entered this world with her momma having peace that she was bringing her into an organized beautiful home. No longer drowning. It’s not just what they did, but the system they put in place that is still going a year later. Thank you, thank you, thank you! 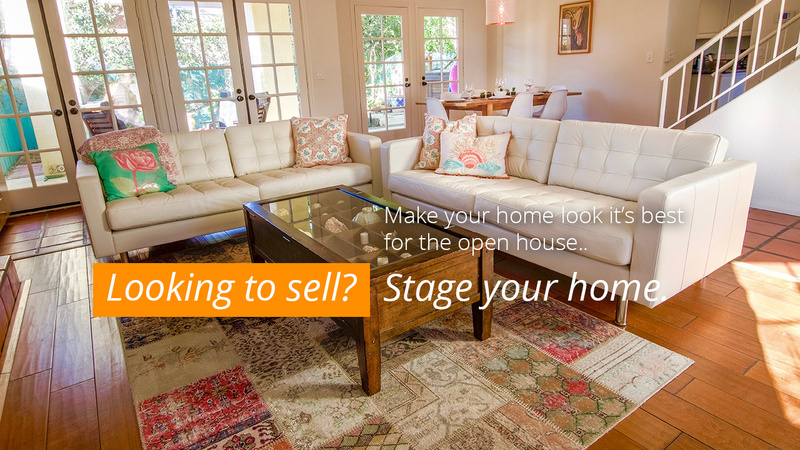 Selling a house is always stressful. 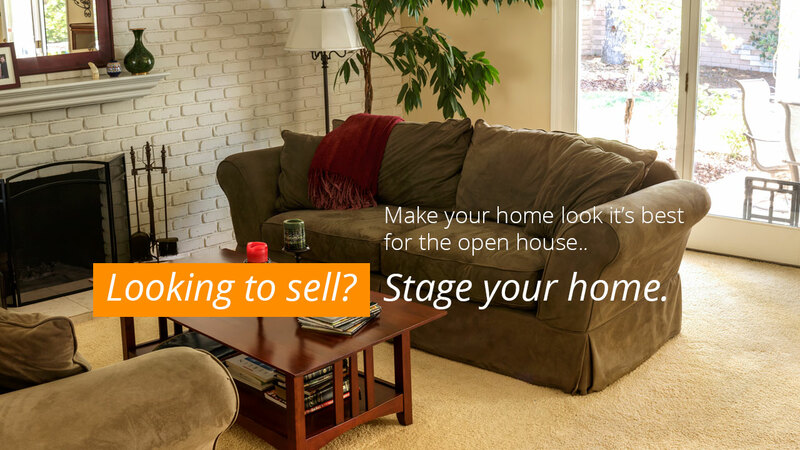 When I decided to put my rental property on the market, I knew there were things I could do to maximize its value…clean-up, paint, new carpet, etc. all help but, what else? A & B Lifestyles were full of ideas. 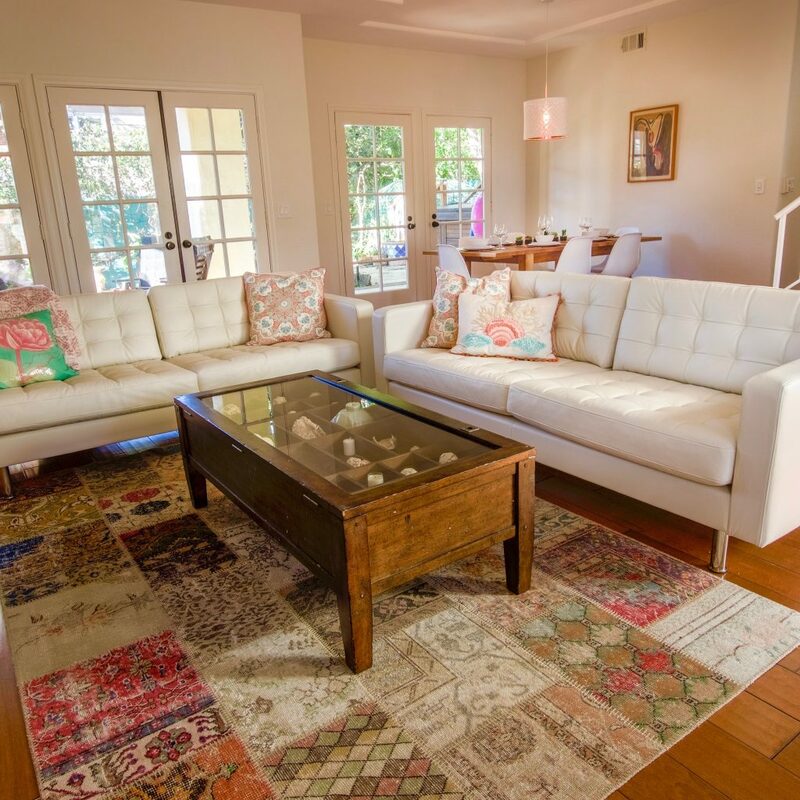 A few carefully selected items created a sense of “home” in every room, giving prospective buyers a glimpse of how they might make it their own. A & B even took responsibility for sparking up the “curb appeal” with flowers and a decorative stone near the front door as well refurbishing the old mailbox and porch light. A welcoming doormat was the finishing touch. Most of all, I loved being able to turn it over to them. A & B took care of design, planning, materials , set-up and take-down. Oh, and did I mention the house sold in 2 weeks!! A & B Lifestyles is truly the most innovative and creative team I have every worked with! 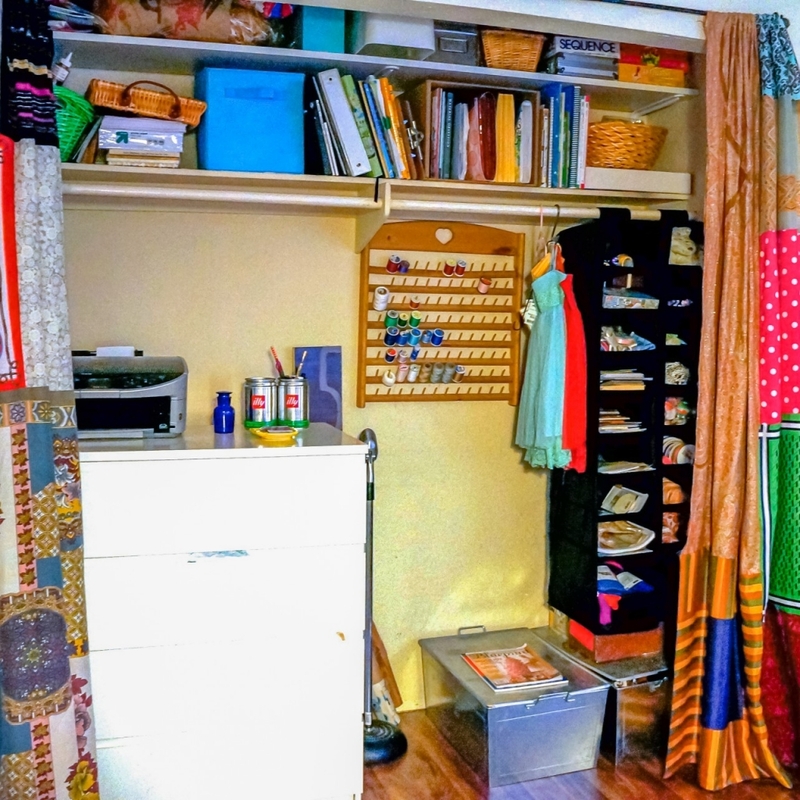 They helped us redesign our usage of a very oddly shaped walk-in closet so that we are now able to use 100% of the space effectively (we were using about 50% before). No other designers were able to help us do this. Cyndy and Seena were immediately responsive to our initial request and came and spent an hour listening to our needs and wishes, and then followed up with a design proposal and redrafting. I was very impressed with their thorough accounting of everything we currently had that needed to be moved into the newly designed space and how accurately their accounting really worked! I love our new space and its clean lines and organization. The entire process was smooth, easy, and painless. Cyndy and Seena are consummate professionals. She looked to us to do what we do best. 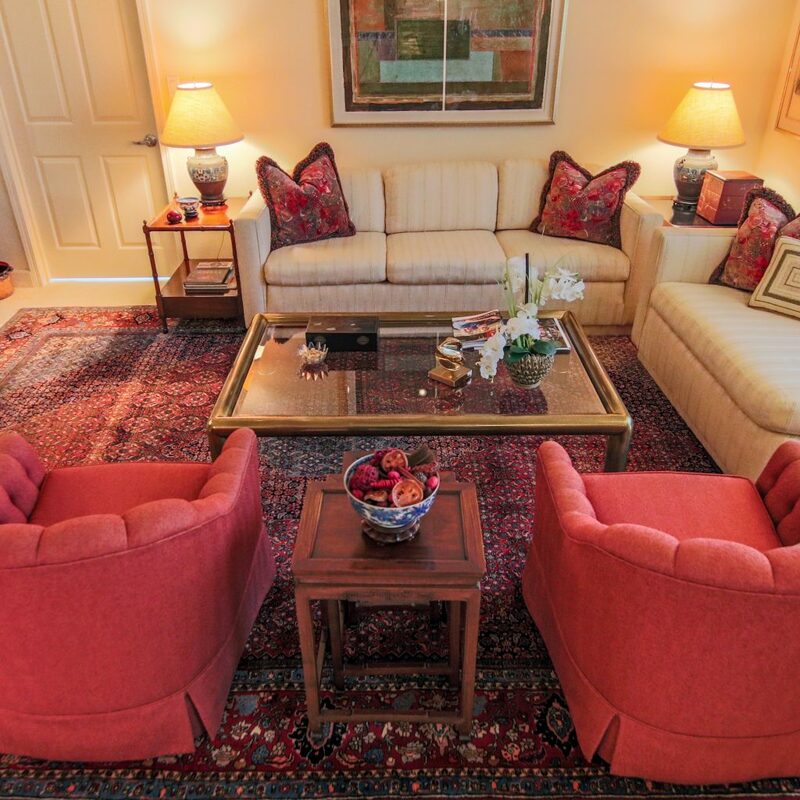 We come into all situations respectful of where the client is and simultaneously encourage them where to go. ... creativity abounds and thinking outside the box is where we like to hang out. There's nothing wrong with a room that multi-tasks. A room like this needs to be organized. 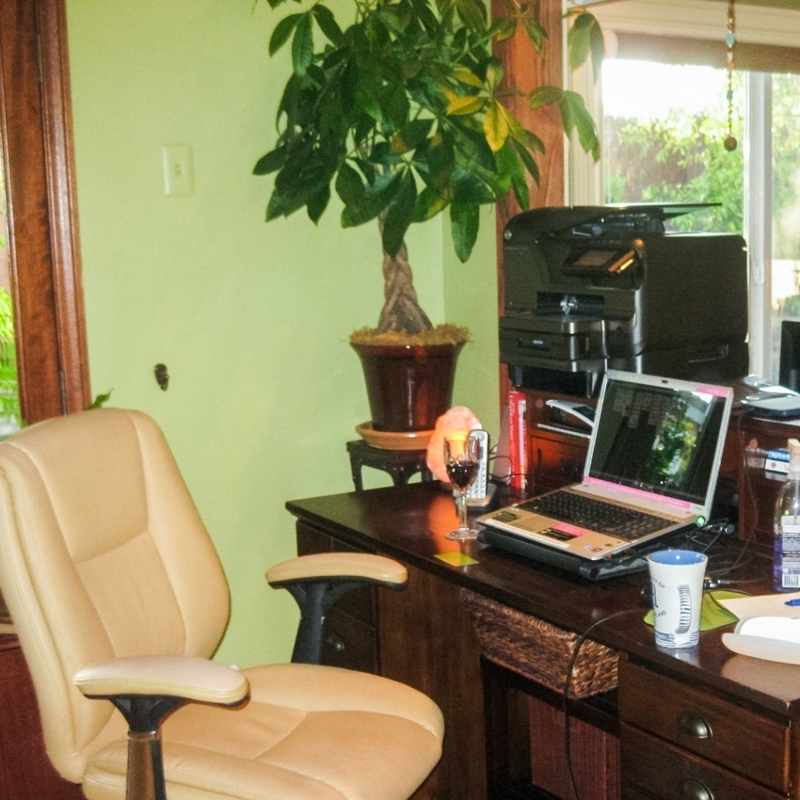 In addition, our client needs to realize that, on top of everything else she does, she must continue to be organized. We wanted her to “shop” her closet. 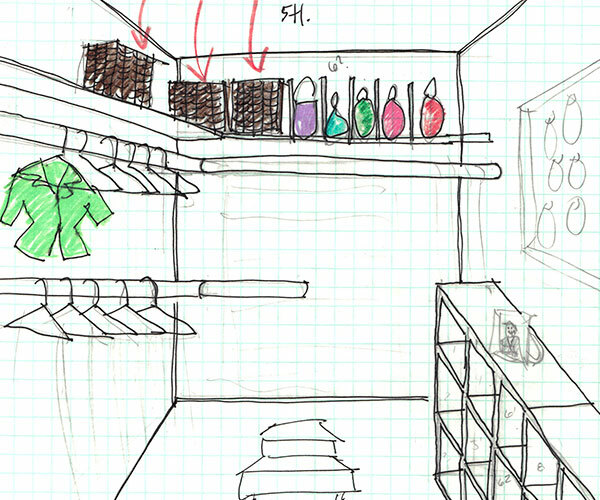 What an innovative approach to a closet! Half of organization is learning to let go and the other half is learning to identify and manage what is really important. 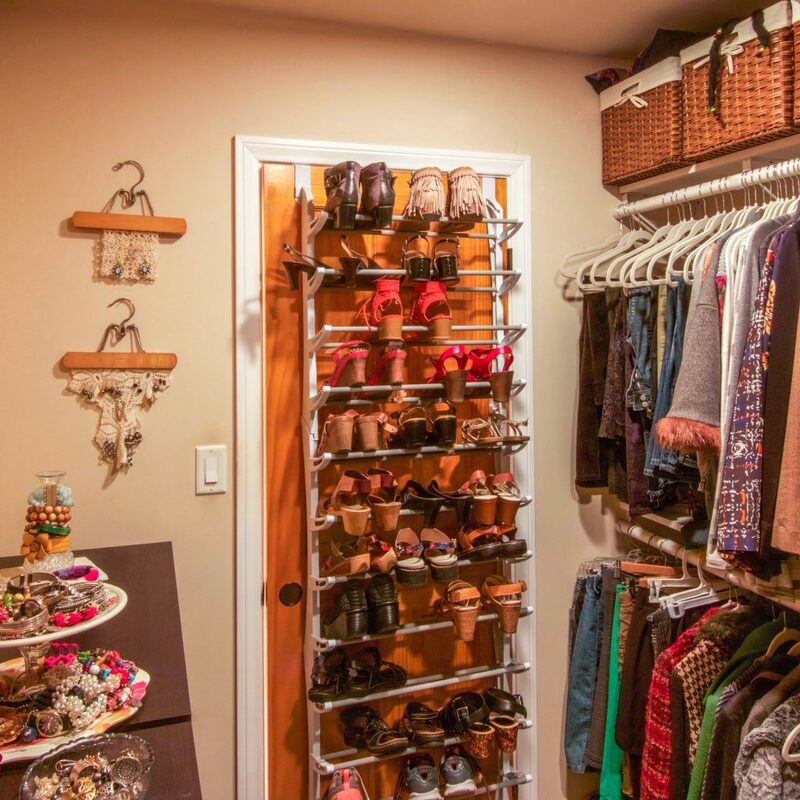 We love watching the faces of our clients when they see there is more space in a closet than they ever thought! A job that looks daunting can be done in a short amount of time with focus and cooperation.